With its reputation rising as a gourmet haven, the Sofitel Legend Metropole Hanoi is elevating its culinary appeal with a new director of F&B and a new member on its pastry team. As the hotel’s new director of food and beverage, Antoine Huc will oversee operations of the hotel’s 6 outlets, banquets and in-room dining services. 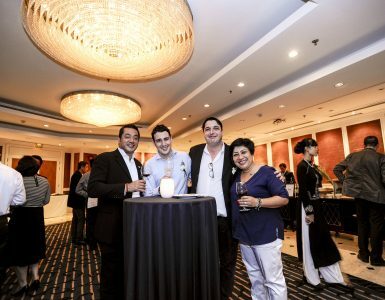 Huc, a native French speaker relocates to Hanoi after more than 10 years of experience in the world’s leading hotels and restaurants. Most recently he was food and beverage director at the ultra-exclusive Amanyara resort on the Caribbean island of Turks and Caicos, where he oversaw food and beverage operations of the 38 guest pavilions and 20 multi-bedroom villas. Prior to that he was food and beverage manager at the 114 bungalow, five-star Four Seasons Bora Bora resort where he managed a multi-cultural team across five outlets. His international career includes stints with such lofty establishments as the Fairmont Le Montreux Palace in Geneva, The Plaza Hotel New York and Viceroy L’Ermitage Beverly Hills. Earlier this year, AccorHotels Group added FRHI Hotels & Resorts and its three luxury hotel brands: Fairmont, Raffles and Swissôtel to its global portfolio which includes Sofitel Legend, So Sofitel, Sofitel and MGallery by Sofitel. Meanwhile, Marc-Alban Sicard is moving into the pastry kitchen with a bit of savoir-faire from France. 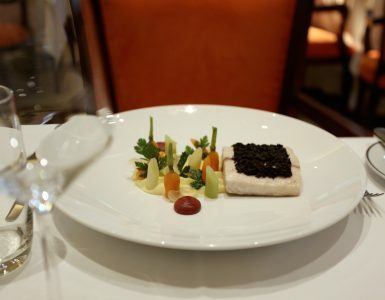 Sicard apprenticed under three Michelin-starred chef Jean-Michel Lorain at La Côte St.-Jacques just outside of Paris and has since honed his craft in many pastry kitchens around the world, most recently at the Balthazar Hotel & Spa Rennes. Sicard will go to work on an array of fresh breads, pastries and cakes from his homeland and his talents will soon become apparent at the hotel’s delicatessen, L’Epicerie du Metropole. For more information, please contact the Metropole at h1555@sofitel.com or +84 4 3826 6919.